Do you know anyone who was involved in this years HOPE Youth Corps? 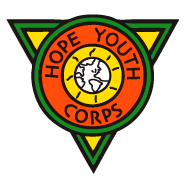 HOPE Youth Corps (HYC) was established in 1994 by HOPE worldwide and is a faith-based, service-learning program designed for young people aged between 15 and 25 years. Working with HOPE worldwide programs this year in Philadelphia , Dallas, Honolulu, Pittsburgh, Great Britain and the Bahamas. HYC participants serve communities through various outreach efforts and community maintenance projects. This week past on the streets of Birmingham, UK, thirty seven volunteers involved in the HOPE Youth Corps, were shaking their buckets, using their musical talents to raise money for Home of HOPE in Chennai. These self-funded volunteers traveled from the US and Canada, Europe & Eurasia, with 15 of our very own home grown participants. The two week itinerary in Birmingham involved, travelling from their host families to participate in a schedule from 9 a.m in the morning till 9.30 p.m. in the evening. Helped out in the assembly and school day of St.Matthew Church of England primary school, teaching self-esteem and consideration of others through role play, engaging with the children, giving personal presentations and promoting discussion. Took time out to visit Warwick Castle. The host congregations of the, Midlands Churches of Christ, (MCOC), have greatly benefited from the inspiration of the HOPE Youth Corps. In their worship service they had the chance to hear from the volunteers as they taught from the bible and shared what they are seeing God do in their part of the world. Women’s Ministry Leader for the MCOC, Tammy Fleming, expressed her excitement and love for the HOPE Youth Corps, and wishes to see the programme return to the UK again next year. Among the many benefits the volunteers receive from their participation in HYC are lifelong friendships and memories, a heightened sense of purpose, greater self-confidence and independence, and a better understanding of the modern world. What a truly life changing experience. We would love to hear more from you if you, or a loved one has participated this year. This entry was posted in Uncategorized, Volunteering and tagged Birmingham City Hospital, Home of HOPE in Chennai, HOPE worldwide, HOPE Youth Corps, HYC, MCOC, Midlands Church of Christ, St Matthews Church of England School, Tammy Fleming. Bookmark the permalink.